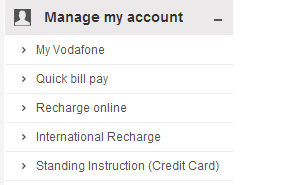 There is no need to standing in a long queque or visiting the Vodafone store for bill payment. 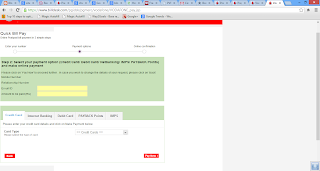 We can do vodafone bill payment using vodafone website. This will take hardly 2 mins to pay the vodafone bill. Vodafone bill payment service provide the flexibility to pay the bill using different options like- Credit Card, Debit Card, Cash Card, Net Banking and Payback. Click on "quick bill pay" link. 3. Now enter your email address and Amount to be paid. Select the payment options and enter the details. Click "Pay Now" then confirmation screen will appear.